At Bed&Breakfast Blumen Haus you will find a garden and a terrace. Other facilities offered at the property include meeting facilities, a shared lounge and a tour desk. 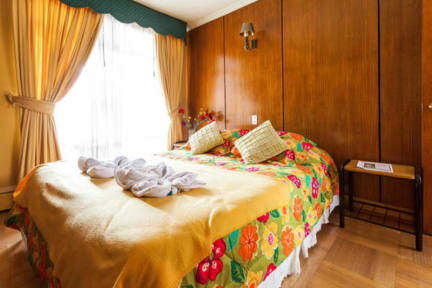 The house is American style of the 60s , with floor to different native woods and many details in stone, with different very nice and sunny environments that will make your stay to be pleasant besides that attention is personalized because we have few and comfortable rooms of different sizes. 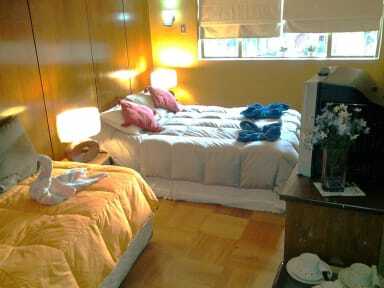 Our Bed & Breakfast is located in a classic neighborhood of Providencia neighborhood called flowers , where streets are named of different flowers and that gave rise to our name.The neighborhood is safe and with excellent connection to the collective and very close to a metro station locomotion. We offer nicely decorated rooms, some of them have ensuite bathrooms. Each room here will provide you with a TV and cable channels. Extras include bed line. We have parking inside of the house with limit of disponibility and extra cost of U$ 10 per night. Bed&Breakfast Blumenhaus Policies and Conditions.